The California Lemon Law is unique as compared to most other state lemon laws in that the CA Lemon Law applies to certain warranted business use vehicles. Specifically, the CA Lemon Law applies to a business use vehicle if the vehicle’s gross vehicle weight is less than 10,000 pounds and no more than five vehicles are registered in the State of California in the business name. It is important to note that for California Lemon Law purposes, the gross vehicle weight rating is irrelevant in determining the business use vehicle’s weight. The gross vehicle weight is what is important. But what if my warranted business use vehicle does not fall within the parameters of the California Lemon Law? Are there other laws that may apply? Yes. The California Uniform Commercial Code may apply as well as the Federal Lemon Law. 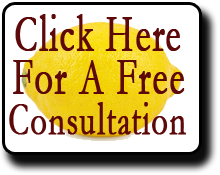 If you believe your business use vehicle is a lemon, please contact us and we would be happy to provide you with a free consultation.